Sold. ‘East – Harbour’. Mixed media on 40×40″ redwood panel. 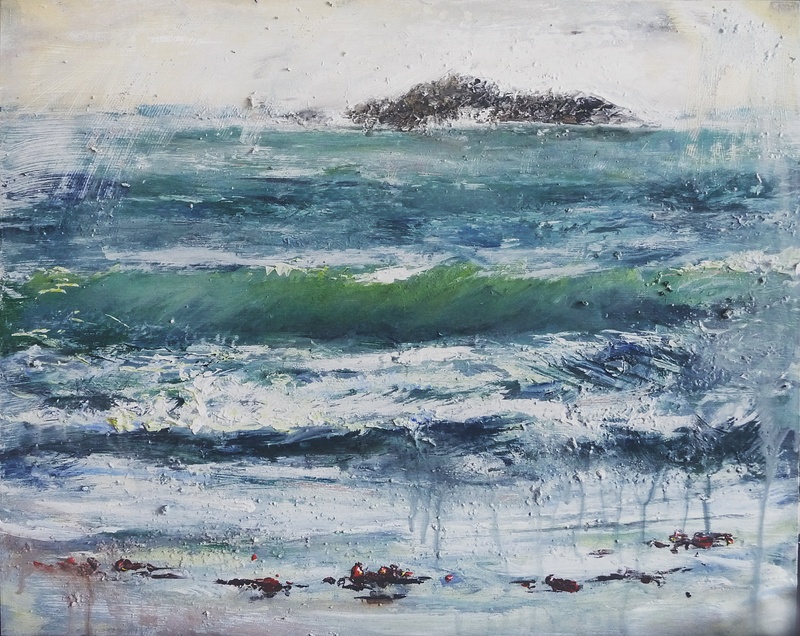 This entry was posted in Uncategorized and tagged paintings of the sea, paintings of waves, Scottish landscape painting, Scottish seascape painting, sea painting, wave paintings on February 10, 2017 by rosestrang. Nice news today that I’ve been included in Saatchi’s ‘Inspired by Impressionism..’ series. I’m not actually particularly inspired by Impressionism, but last year one of my paintings (‘Waves in the Rain, Singing Sands Bay’, above) was compared to Gustave Courbet by the Curator of French Art at the National Gallery of Scotland. I was very touched by that, and she followed up those kind remarks by buying the painting too, I was thrilled! This is Courbet’s ‘La Vague’ (the wave). I honestly wasn’t thinking of Courbet at all when I painted my waves, but I actually do see what she meant in a way – the energy I think. Courbet was a messy painter, as I tend to be too especially with larger works. And since I’m blowing my own trumpet today (somebody has to!) 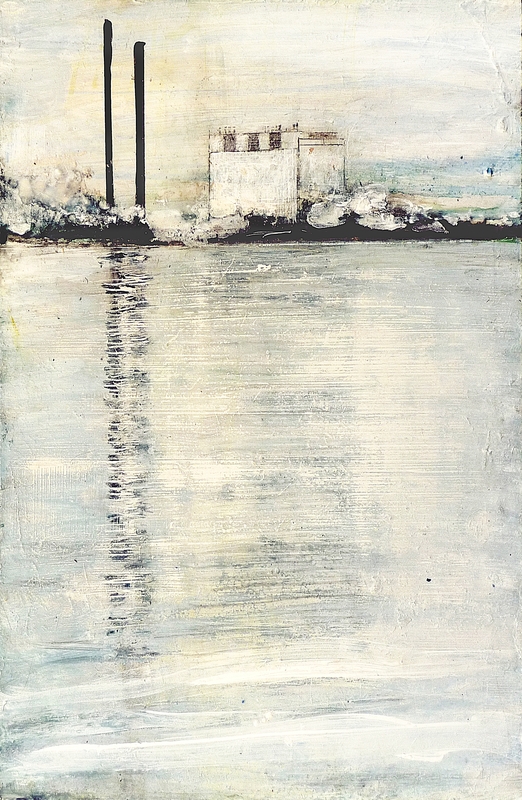 other good news is that ‘Cockenzie Power Station’ was pre-selected for the RSA (Royal Scottish Academy) Open 2015. Thanks to the RSA and Saatchi, I must say it’s given me a wee glow today! 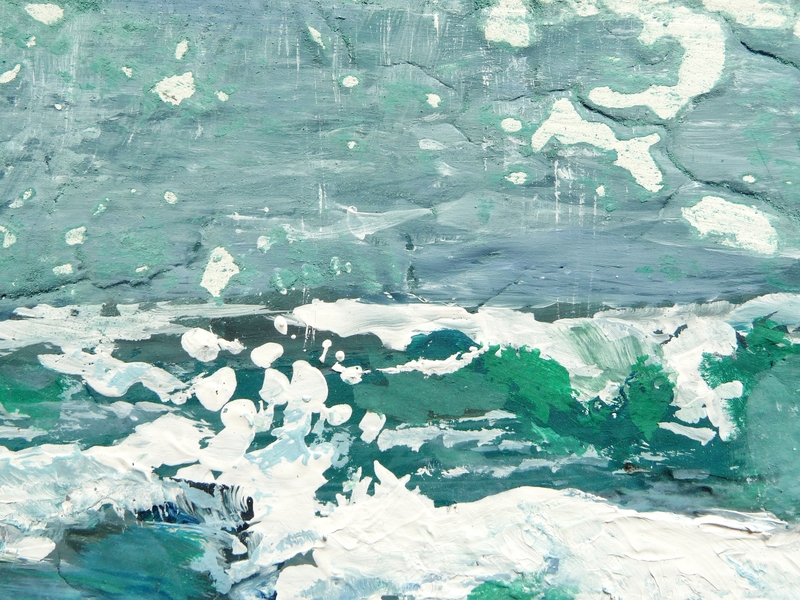 This entry was posted in Uncategorized and tagged Cockenzie Power station, courbet, sea paintings, wave paintings on October 26, 2015 by rosestrang. 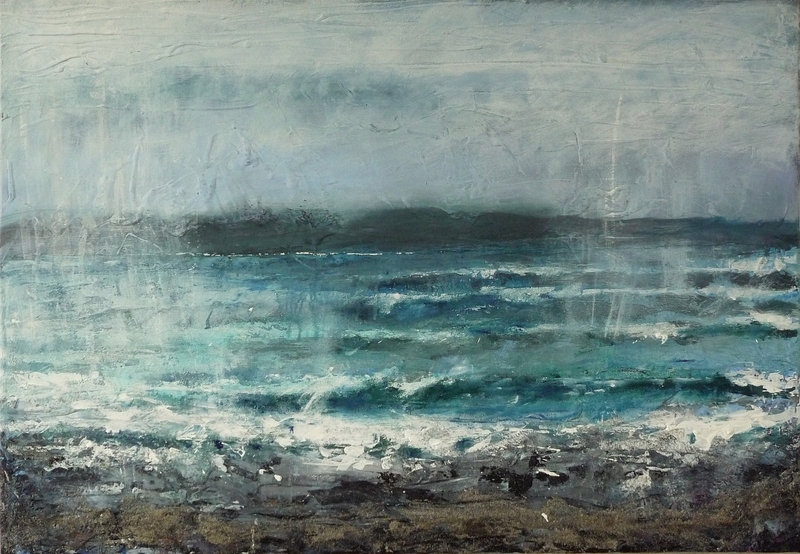 A wave from Singing Sands Bay, this time more experimental and loose, which I feel gives it more energy. I like this one! I mentioned yesterday that music helps me paint – which is true of all painters I know – and someone asked yesterday which music I find inspiring to paint to. It changes all the time, today’s was painted to Kate Bush’s Ariel, but here are a few that have featured many times in this year’s ‘Music to Paint to’! Another evoker of atmosphere, is singer/songwriter Scott Matthews. Ballerina Lake is quite haunting and can trigger the right mood..
And (of course) 50 Words for Snow ! I love paintings snowscapes and I also like this amateur video, taken by someone from her porch which looks like somewhere in the wilds of Canada but I think is New Hampshire. 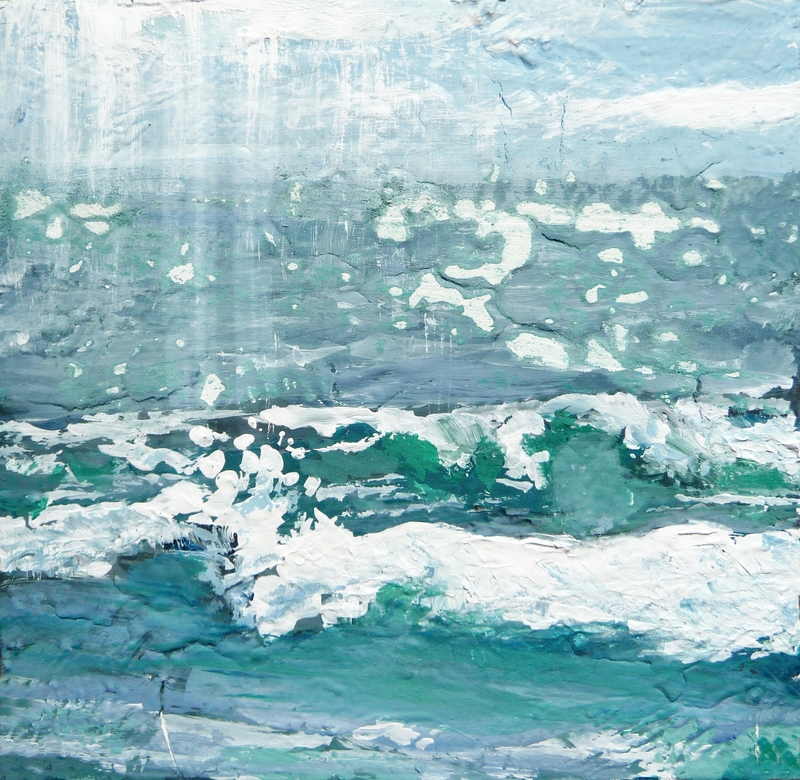 This entry was posted in Uncategorized and tagged eigg art, kate bush, paintings of eigg, satie, sea paintings, seascapes, wave paintings on May 2, 2014 by rosestrang.